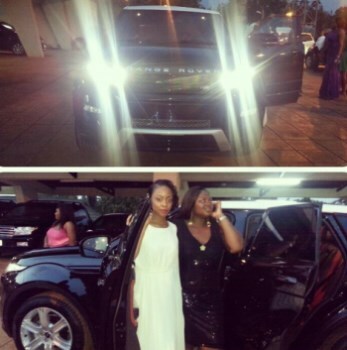 Governor of Enugun State, Buys Daughter-in-law Range Rover as Wedding Gift - Glitz Plus Ent. Nneoma Atueyi married the son of Enugu state governor, Nnamdi Chime, on Saturday April 13th. She got a brand new 2013 Range Rover from her father-in-law, Sullivan Chime as wedding gift.